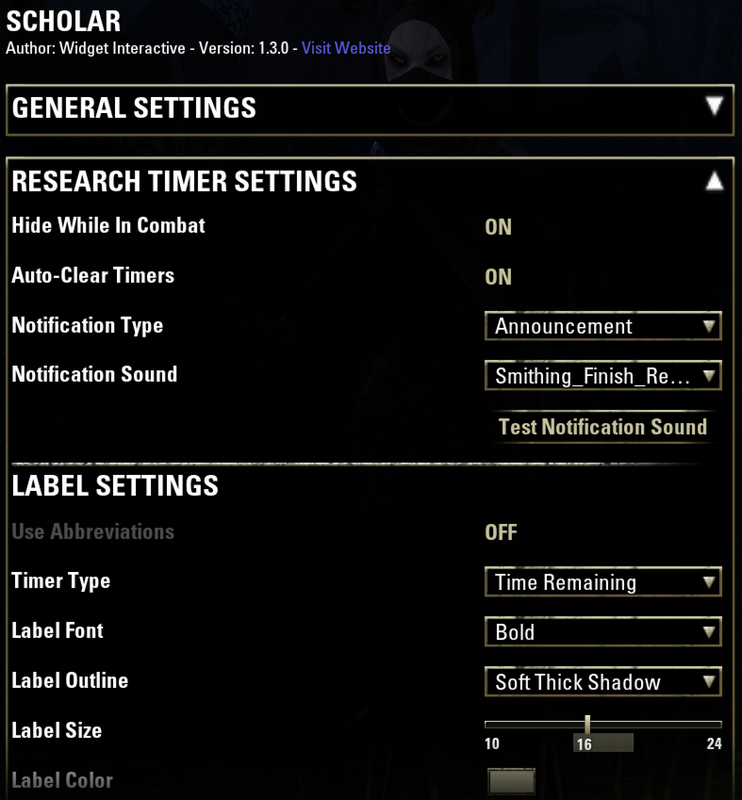 Scholar is sort of the spiritual successor to Harven's Research Timers. 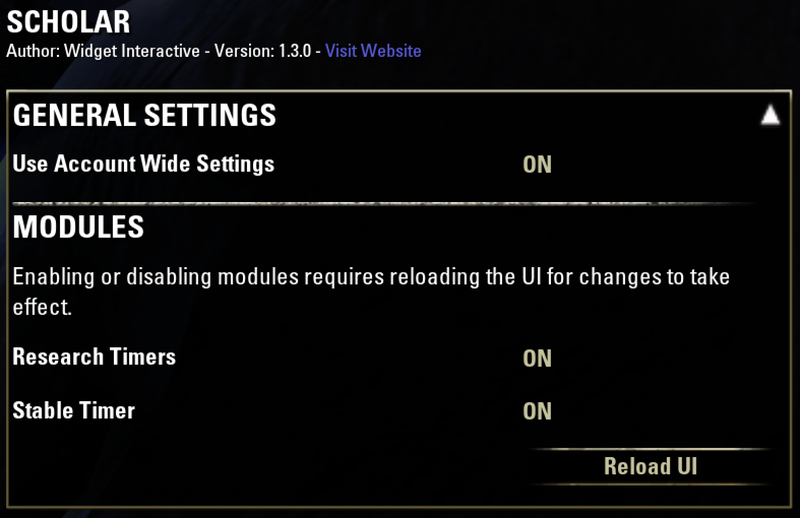 While Harven's addon is outstanding, it's always had a few quirks that annoyed me, and a few features that I felt were missing. Thus, I decided to experiment with a partial fork that did what I wanted it to, and Scholar was born. 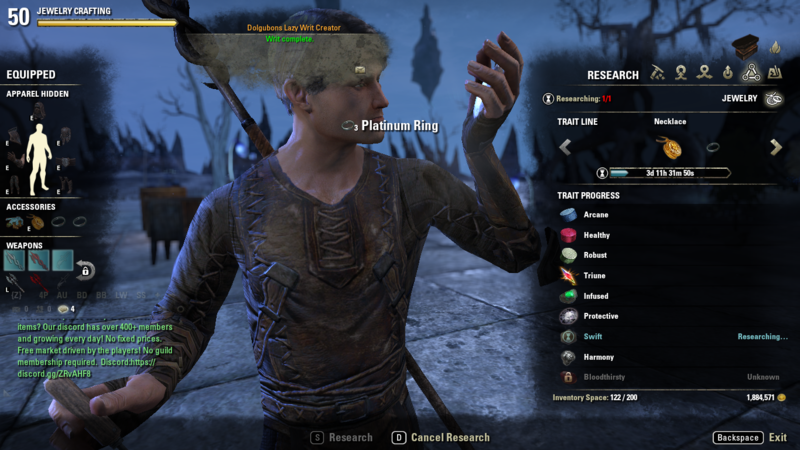 Shows detail regarding what trait is being researched! Adds a spinner to crafting tables allowing you to craft/uncraft in bulk! Right now, Scholar is pretty simple, but I want to take it a lot farther... 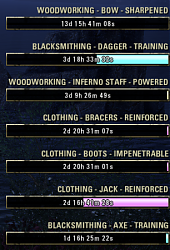 I want it to be a full-scale, modular crafting and research enhancement addon. But, to do that, I need feedback! What can be improved with the existing setup? What would you like to see added? Let me know, and I'll see what I can do! 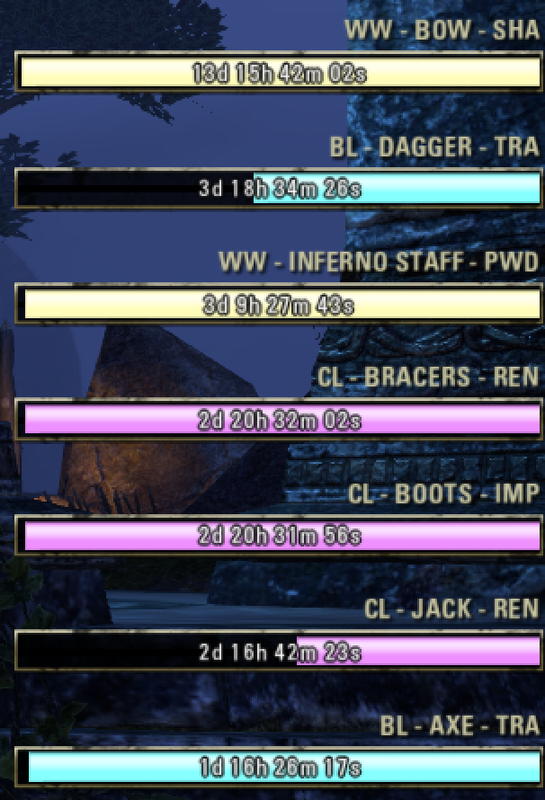 Fixed: Minor typo in "Carry Capacity"
EDIT (December 6, 2018): Scholar does not update the character's remaining research time after I select the character to play. 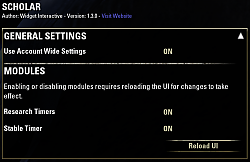 It also does not update the remaining research time when I log-out of a character and immediately select the same character to play. 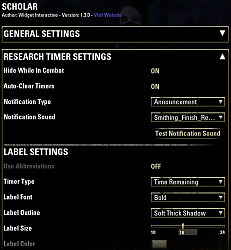 Scholar updates the remaining research time only when I re-load the UI. 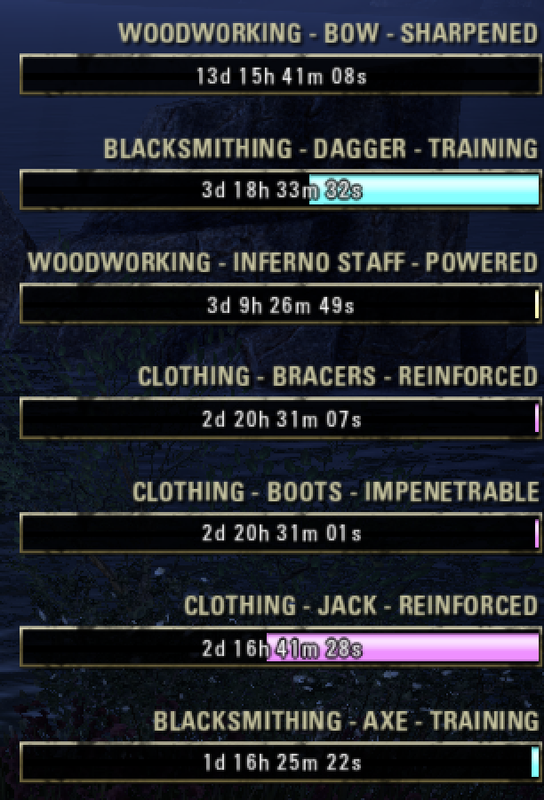 In my humble opinion, it is probably possible for Scholar to obtain the remaining research time while the megaserver is loading the instance in which the character will be played, but it is not currently doing that. Last edited by Shadowshire : 12/06/18 at 09:55 AM. Haven't had that happen yet, can you tell us when specifically that happened? 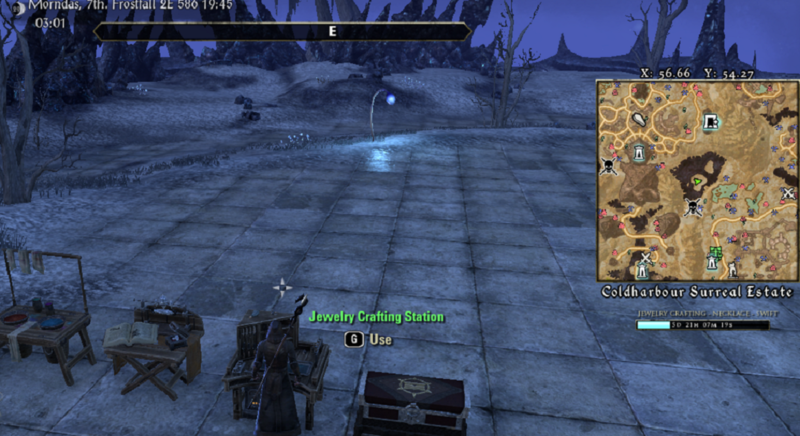 Scholar now supports jewelry crafting! Happy to! Sorry for the delay, we're on it! The ability to sort by craft type, then by time within that. 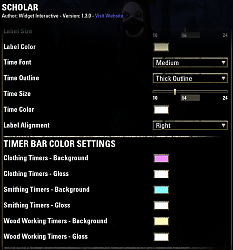 Alternatively (or additionally), the ability to set the color of each craft type individually. So that I might have woodworking brown, clothing light blue, and blacksmithing grey, for example. Last edited by AnonymousCyborg : 05/08/17 at 09:15 PM. Feel like testing out a tiny update? Last edited by AnonymousCyborg : 05/08/17 at 08:45 AM. Yep! We try our best to make sure nothing ever seriously breaks (though bugs do happen... just read the rest of this thread!). That said... thanks so much for the kind words and feedback! Nope! We don't use the notification area for anything. Only notifications we provide are in-chat notifications, or center-screen alerts. Do you have CraftStore (or one of the derivatives) installed? I know that one uses the actual notification area. Edit: Better question... any chance you can get a screenshot? Found the culprit. Craftstore Fixed & Improved. I had to turn off all my add ons and check them one at a time and after being booted several times from the server it was the craftstore mod that would pop that notice on. 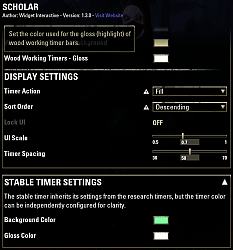 this mod is a really nice one and i'm really happy it wasn't the one doing it. Back to having my timers again. Last edited by WidgetInteractive : 05/08/17 at 08:24 AM. I'm having a slight issue and am trying to narrow it down. I downloaded and installed this a few days ago and didn't notice any issues. 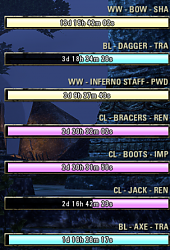 Yesterday, I deleted a character that apparently was researching something, and now every time I start my game a large notice comes up on the screen telling me that the deleted character has finished the research. I uninstalled this mod and checked to make sure Minion removed it completely and I'm still getting the notification. 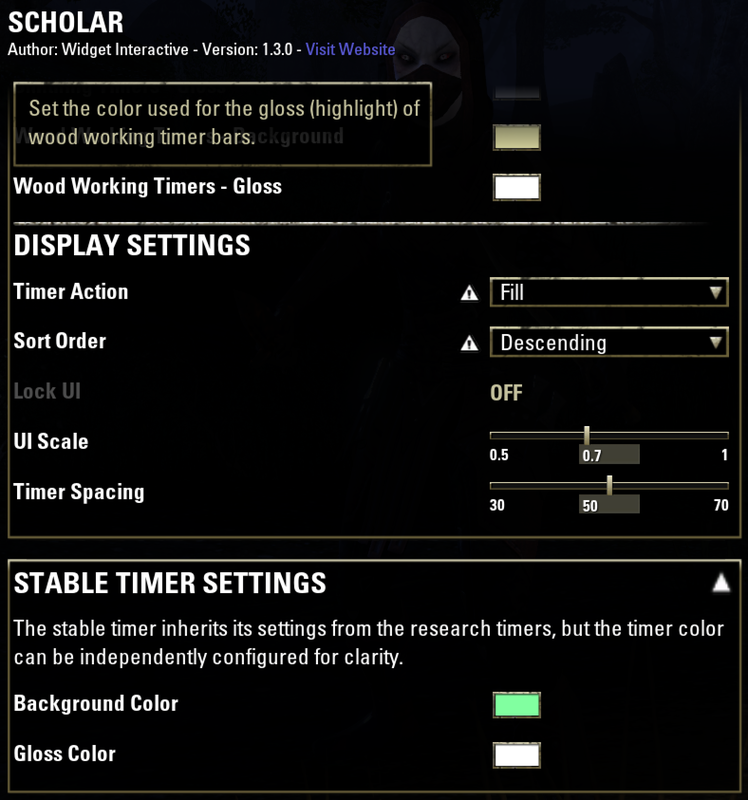 Does this mod use the notification area to alert when the research is finished or just the group of timers off to the side? 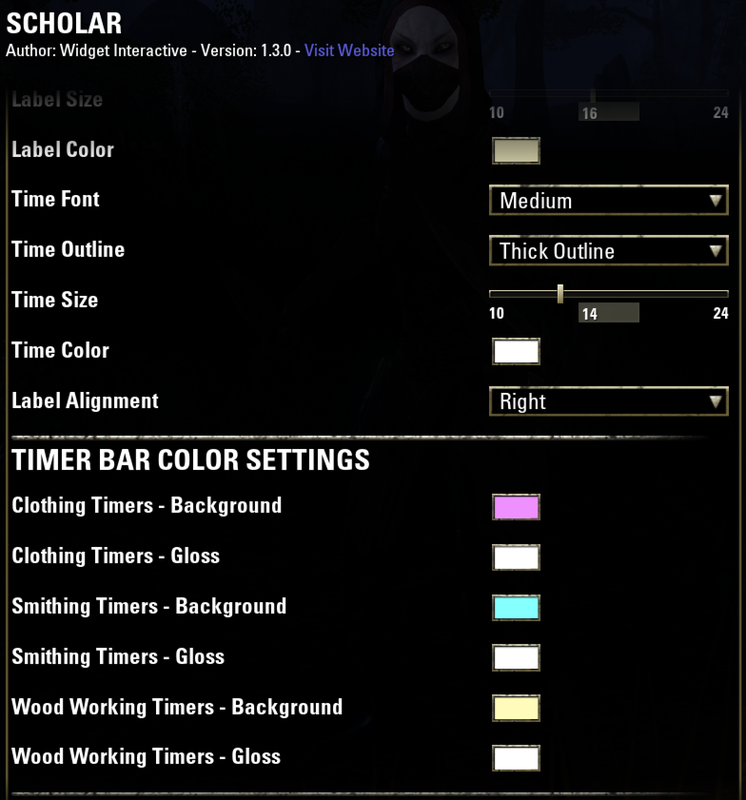 The only other mod I have that has a crafting timer on it is Wykkyd Toolbar and their timers were disabled since I was using this mod.